The complex design of your teeth, mouth, and jaw joints is truly a wonder of nature. It also has a powerfully symbiotic relationship to the rest of the body and your overall wellness. Yet, stressors of everyday life can compromise teeth and jaws. 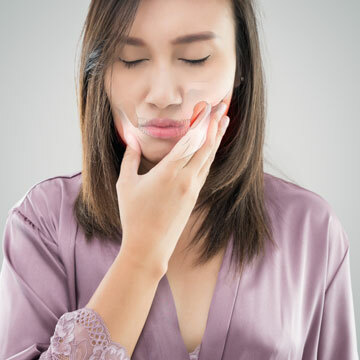 Dr. Olivia Hart provides safe, non-surgical solutions for patients in the Richmond, VA area – dental appliances and bite guards. The lives of an estimated ten million Americans – including children – are disrupted by TMJ problems. Temporomandibular joints attach your mandible to the skull, allowing the jaw to open and close, slide side to side, and push forward. These motions are necessary to breathe properly, eat, communicate verbally, and make facial expressions. When the bite is ideally balanced, and the body and mind are in harmony, these multi-faceted joints function comfortably. Under stress, however, tissues in TMJs become inflamed, irritating nerves and limiting mobility of the mouth. A conventional approach indicates strong pain medications to mask symptoms of TMD, and possibly surgical intervention. Realign bite, bringing joints into balance. Cushion pressure on teeth and TMJs. Distribute bite force more evenly across the arch. Reduce tendency to clench and grind teeth by encouraging a “lips closed bite open” posture during sleep. Simply slip the discreet night guard into place before you go to bed; remove and rinse it in the morning. Patients with severe TMD may benefit from wearing a dental guard through the day, as well. Teeth are intended to withstand tremendous bite pressure. Yet, they can easily be damaged by lateral forces from trauma incurred in sports injuries or fractured and worn from bruxing (clenching and grinding). Most people understand the importance of wearing a mouth guard to prevent these issues, but few feel comfortable with a bulky, store-bought appliance. Dr. Hart creates a guard from impressions of your mouth, for exceptional fit and optimal effectiveness. Contact Dr. Olivia Hart of Richmond Family Dentistry to protect your smile from damage with a custom made dental guard appliance. Click here to make an appointment now or call (804) 381-6238 to learn more. My wife, daughter and I have had our teeth cleaned and dental work done at Richmond Family Dentistry since the early 1990s. They have always taken excellent care of our teeth and are AWESOME and OUTSTANDING IN EVERY WAY! ~ E Marshall B.